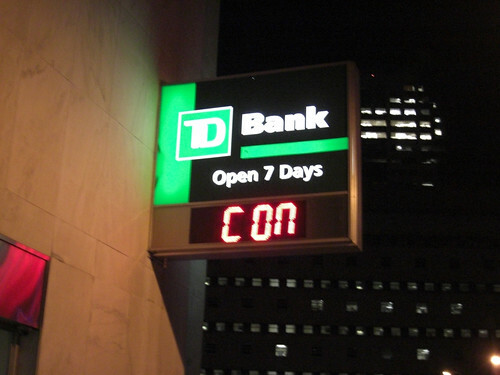 TD Bank’s unfortunate sign of the times. “con”? what the meaning of that? Is that a technical problem?